CAMBRIDGE, Mass. – August 18, 2015 – Biogen (NASDAQ: BIIB), The ALS Association and Columbia University Medical Center (CUMC) today announced a new collaboration to better understand the differences and commonalities in the ALS disease process and how genes influence the clinical features of the disease. The project, “Genomic Translation for ALS Clinical care” (GTAC), will involve a combination of next generation genetic sequencing and detailed clinical phenotyping in 1500 people with ALS. The goal of the project is to provide a basis for the development of precision medicine, or more individually tailored therapies for ALS. An explicit aim of the collaboration is to set the stage for a nationwide effort to ensure the genomic characterization of all patients with ALS. “This project will provide a clinical deliverable to the 1500 patients that participate in the study. We will use our extensive database of ALS genomes and exomes to carefully identify definitive genetic risk factors for ALS and these risk factors will be communicated back to participating clinics. The database we create will allow for an unprecedented investigation of the clinical correlates of the genetic causes of ALS.” said Dr. Matthew Harms, M.D., who will lead the project and be joining CUMC in the fall as an assistant professor of neurology. Patient blood cells will be stored at the Induced Pluripotent Stem Cell (iPSC) Core, a facility supported by The ALS Association, at the Cedars-Sinai Board of Governors Regenerative Medicine Institute. This cell bank will allow researchers to create cell lines for further study, based on leads provided by genome sequencing. “The ability to create patient iPS cells from such a genetically well-annotated ALS blood repository will allow us to model causes of motor neuron degeneration in ALS at a scale that has never been possible,” said Dhruv Sareen, Ph.D., who leads the Cedars-Sinai iPSC Core. Clinical data will be collected and curated through the NeuroBank system at the Massachusetts General Hospital, and cell lines will be developed at Cedars-Sinai in Los Angeles. Currently, participating clinical sites in this effort include the Cedars-Sinai Board of Governors Regenerative Medicine Institute, Columbia University Medical Center, Duke Medical Center, Houston Methodist, the Scotland ALS clinic network, University of Minnesota and Hennepin County Medical Center, University of Utah, University of Washington, and Washington University in St. Louis. The project is being funded through Biogen’s $30 million strategic alliance with CUMC and $3.5 million from The ALS Association. 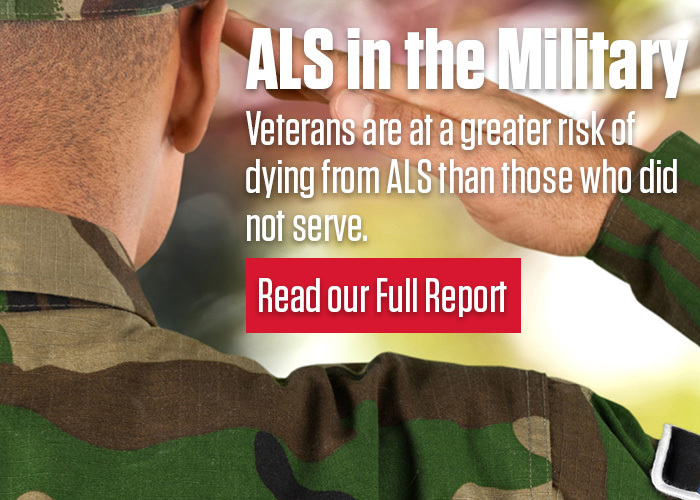 The ALS Association’s commitment comes from funds raised directly through the Ice Bucket Challenge. ALS (amyotrophic lateral sclerosis) is a progressive neurodegenerative disease that affects neurons (nerve cells) in the brain and the spinal cord. Eventually, people with ALS lose the ability to initiate and control muscle movement, which often leads to total paralysis and death within two to five years of diagnosis. There is no cure and no life-prolonging treatments for the disease. In 2014, $115 million was donated to The ALS Association. This incredible generosity is fueling some exciting new initiatives including this new project, “Genomic Translation for ALS Clinical care” (GTAC). A full list of all projects that have been made possible by The ALS Ice Bucket Challenge can be found here. Through cutting-edge science and medicine, Biogen discovers, develops and delivers to patients worldwide innovative therapies for the treatment of neurodegenerative diseases, hematologic conditions and autoimmune disorders. Founded in 1978, Biogen is one of the world’s oldest independent biotechnology companies and patients worldwide benefit from its leading multiple sclerosis and innovative hemophilia therapies. For product labeling, press releases and additional information about the company, please visit www.biogen.com. This press release contains forward-looking statements, including statements about the potential to discover and develop new therapeutics for ALS through its collaboration with the ALS Association and other collaborating institutions mentioned above. These forward-looking statements may be accompanied by such words as “anticipate,” “believe,” “estimate,” “expect,” “forecast,” “intend,” “may,” “plan,” “will” and other words and terms of similar meaning. You should not place undue reliance on these statements. These statements involve risks and uncertainties that could cause actual results to differ materially from those reflected in such statements, including risks and uncertainties associated with drug development and commercialization, Biogen’s dependence on third parties over which it may not always have full control, and the other risks and uncertainties that are described in the Risk Factors section of Biogen’s most recent annual or quarterly report filed with the Securities and Exchange Commission. These statements are based on current beliefs and expectations and speak only as of the date of this press release. Biogen does not undertake any obligation to publicly update any forward-looking statements.